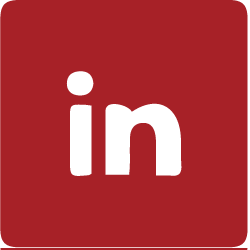 Calgary Real Estate Board – Calgary March 1, 2017 After the first two months of the year, Calgary’s detached sector continues to drive a slow transition in the housing market. February sales totaled 1,342 units, which is still 19 per cent below long-term averages, but an improvement over the past two years. As sales kept trending upward, detached inventory levels continued to ease in February. These conditions caused months of supply to fall to 2.4 months, putting less downward pressure on pricing. Unadjusted detached benchmark prices totaled $501,900 in February, which is one per cent lower than prices recorded last year, but slightly higher than January figures. The amount of excess inventory eased in the overall market in February, setting the stage for a transition to a more stable market this year. Months of supply totaled 3.4 months, down from five months over last February. 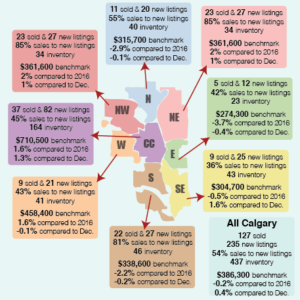 At the same time, the sales-to-new-listings ratio trended from a near record February low of 39 per cent last year to 55 per cent this February. With sales improving and new listings and inventories contracting—two key measures of market balance, there’s good evidence to show that the housing market has started a trend toward more balanced conditions.